Lot 165. 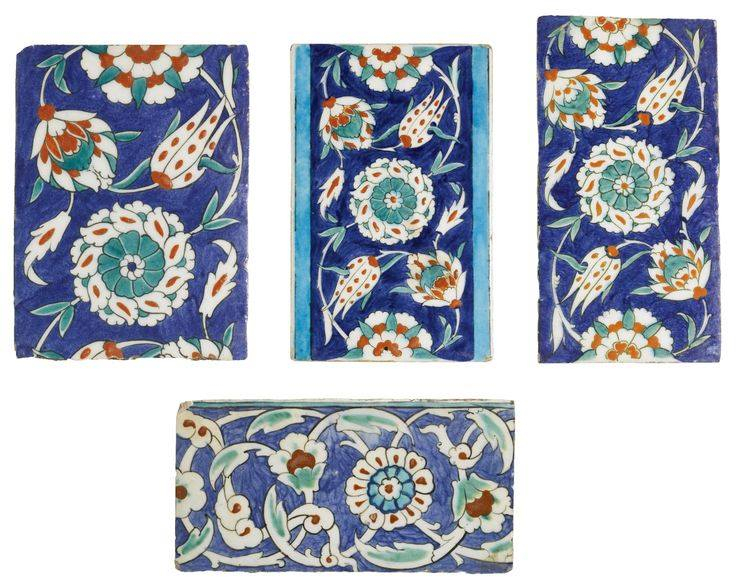 A large Iznik tile, Turkey, 16th century; 29.2 by 29.2cm. in frame. Estimate 5,000 — 7,000 GBP. Lot Sold 9,750 GBP. 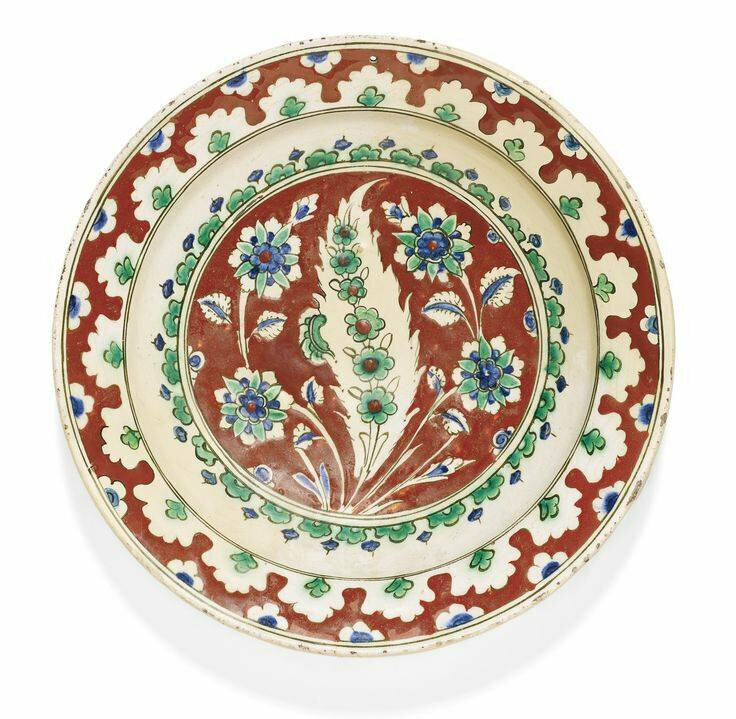 Photo: Sotheby’s 2014.
decorated in underglaze cobalt blue, green and relief red with a design consisting of a central stylised rosette issuing four curving stems with saz leaves and flowerheads, set in wooden frame. Provenance: Ex-collection Alfred Spero, acquired from him 3 February 1961. 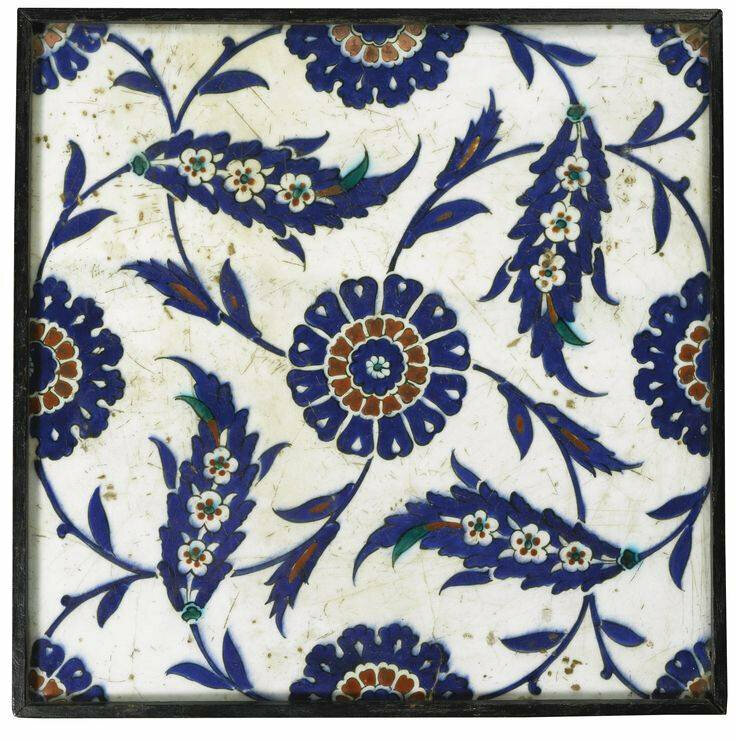 Blue and white iznik tile, turkey, first half of the 16th century.